Kurokawa Onsen Kyou is the most upstream. 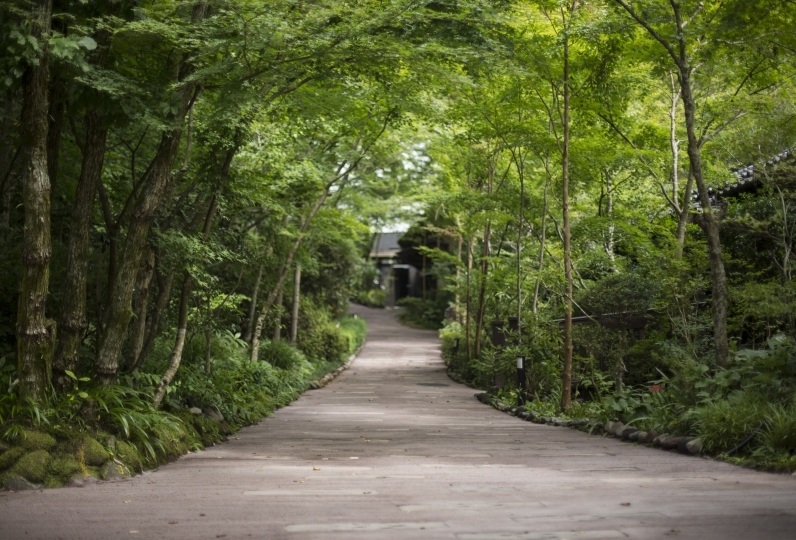 Here at [Genryuu no Yado Honzantei], you heart can relax and be immersed in nature. There are 11 types of unique independent guests rooms. 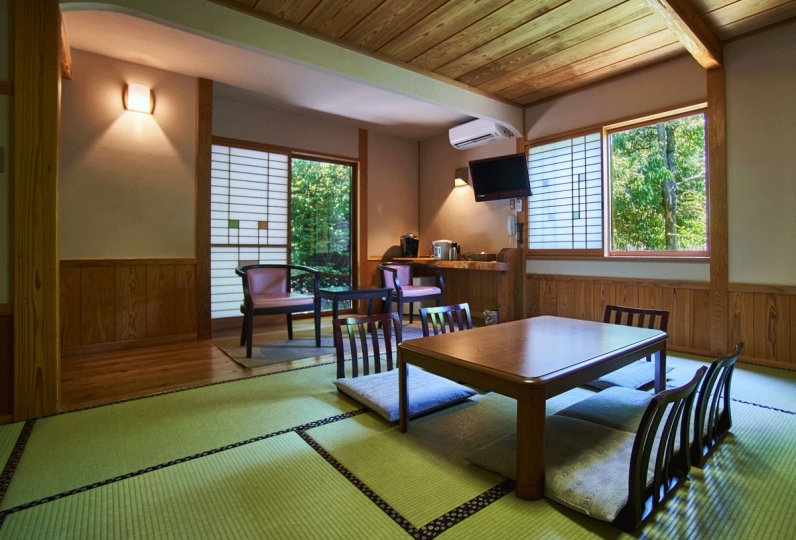 Close to the rooms is the flowing Chikugo River and in one part of the room you can see salmon swimming in the river: This creates a calm and comfortable ambiance. The rooms have a private outdoor bath and an indoor bath. You will be able to bathe in private whenever you want. While you bathe, you will be surrounded by nature and you will be thoroughly cleansed. For meals, the important taste of ancient Japanese cuisine will be served to you through the four seasons banquet course. The cuisine uses plenty of carefully selected ingredients and flowers of the four seasons so that your eyes could enjoy the feast as well. Your five senses will be able to enjoy the changes of nature from season to season. Retune to nature and enjoy a moment of peace. I was looking forward to the first Kurokawa Onsen ♨️. Without betraying expectations, I was able to spend a relaxing time with my husband at "Sayamaitei" I got a delicious kaiseki dish and had a hot water bath with many fine hot springs and enjoyed it enough. If you can not impossibly try to improve amenity goods. I wanted a make-up lotion, milky lotion. There was a basic cosmetic product for each lady in the bathroom, but for men it was nothing. I think that it is good if the lotion and the milky lotion of unisex specification are put in a bottle. We appreciate the warm reception of our staff. Eggs were also delicious, as it was a souvenir hot spring. thank you for helping me. I was able to enjoy it! Cooking good, guest room, open-air bath, good service, all in all! There were ladiesmen's tables around each table and it was fresh. Previously, I was surprised to remember that I was forced to cancel due to a sick sickness illness! My chest became hot in the best of Taiwan's hospitality, and I accepted photographs pleasantly. It was the best accommodation I could feel warm. Also, by all means, it is a place I want to visit! It became the best memories! 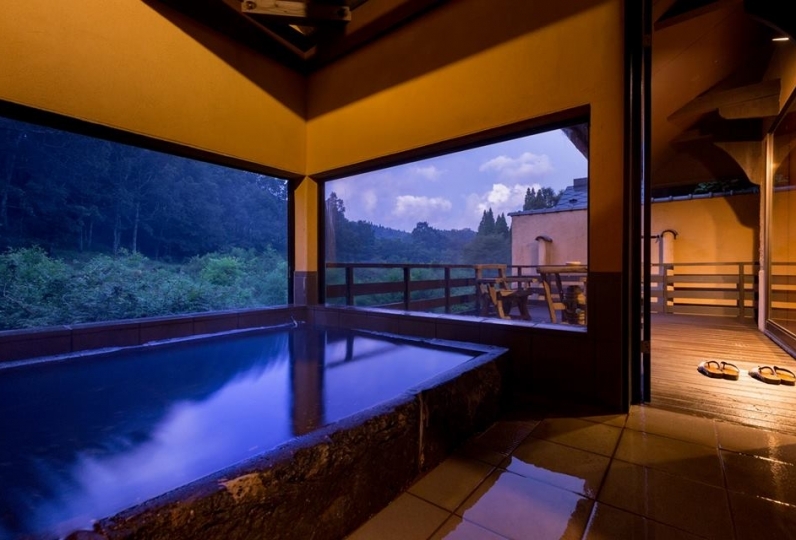 Hoyamai Twi is located on most upstream of Kurokawa Onsen [Higashi Oku Kurokawa]. Spend your time in a place filled with rustic beauty and let it take you away and let it wash away the stress of your daily life. There is a switch that let's you turn off the lights and in the pitch black darkness you will be able to see the sky filled with stars. Operating hours:  3pm-9pm/ Next Morning from 7am. This is a mixed bathing bath (both genders can use it at the same time). The mountain stream is right beside Tengu no Yu. A long time ago the big rock looked like the face of a Tengu and from under that rock the hot water flowed: from then it was called Tengu no Yu. This is a women's only bath. You can enjoy lukewarm water and ice cold water at the same time. Just like sennyu(fairies), you can enjoy the gentle water on your skin. This place opened in August 2015. They serve premium sochu, rare Japanese alcohol, cocktails, and other drinks. We will prepare baby chairs at the restaurant if needed and also safety mats so babies wont get hurt in the baths. We will do our best to help you with your needs so feel free to contact us. 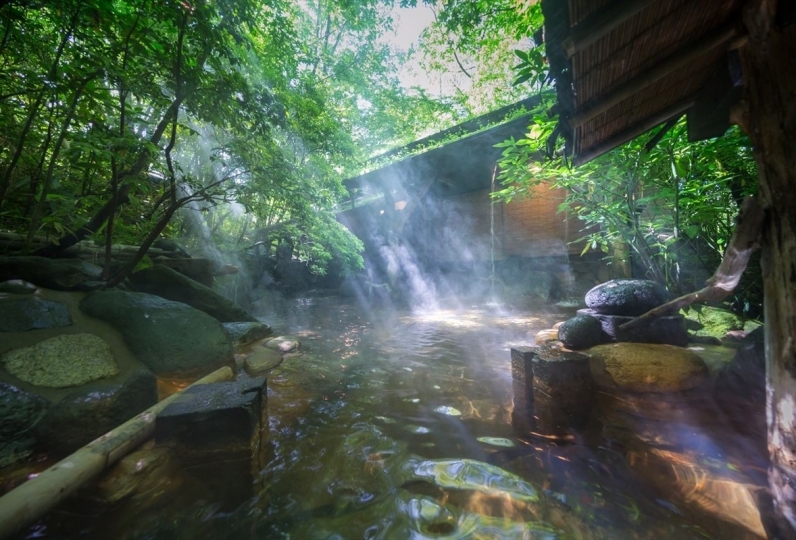 This hotel is close to Chikugo river, therefore, in order to preserve nature please only use the natural and gentle shampoo that is provided at the outdoor bath. We ask for your cooperation. Thank you. - We do no accept credit cards as payment. Please pay by cash only. 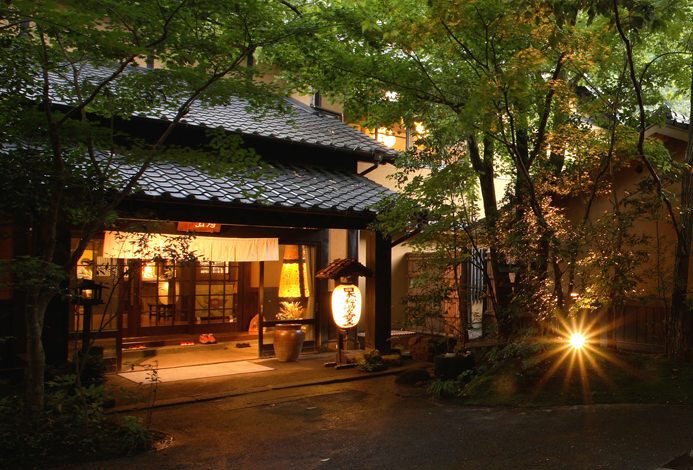 *There is pick up avalible from Kurokawa Onsen to the lodging.